Renowned property developer City Developments Ltd (CDL) has submitted a top bid of $370.1 million for a residential plot at Tampines Ave 10, which translates to per square foot per plot ratio (psf ppr) value of $565.40 based on the maximum GFA (gross floor area) of the site. The top bid submitted by CDL was 5.7% higher than the 2nd highest bid submitted by Chinese developer, Kingsford Development. In fact, the site has attracted a large amount of interest from Chinese developers – 5 out of the total 9 bidders who took part in the land tender. 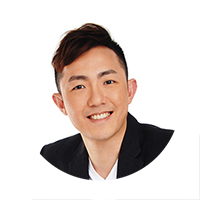 Some of the familiar faces in the Singapore property market scene include Qingjian Realty (developer for The Visionaire EC and many other ECs in Singapore), Nanshan Group (developer for Thomson Impressions) and China Construction (South-Pacific) Development. The last residential site sold under the Government Land Sales (GLS) programme along Tampines Avenue 10 was back in 2015. The site was won by MCC Land for $227.78 million (or $482.60 psf ppr) and currently planned for The Alps Residences condo. Thus, CDL would be paying 17% higher for this recent land sale at Tampines Avenue 10. According to CDL, they will be looking to develop a full-fledged condominium with approximately 800 units, spreading across a couple of 15-storey residential blocks. It was also noted that all units in the future new launch project will have a north-south orientation and there will also be a childcare centre within the condo development itself. Having already developed a huge number of condominium projects in the district since 2010, such as the newer ones in Pasir Ris – D’Nest and Coco Palms, the developer would have accumulated a wealth of experience and is already familiar with the area. Analysts have suggested that the major deciding factor for property developers when choosing sites would be its quantum and capital outlay, despite their land banks facing depletion. It probably explains why the Toh Tuck Road site managed to draw 24 bids just one week before. Although the competition is less intense for the site at Tampines Avenue 10, analysts believe that land prices have seemingly returned to the levels of 2013. 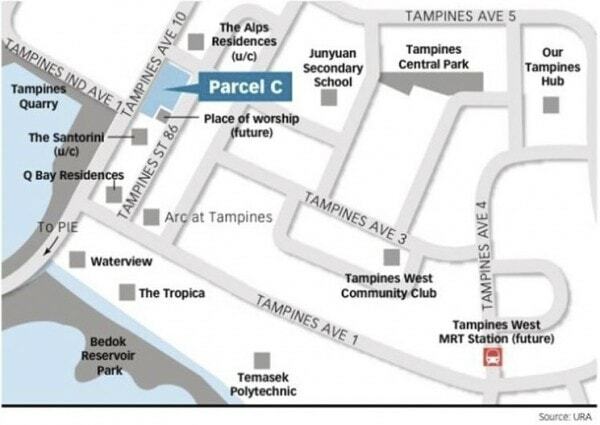 CDL’s bid for the latest site is almost similar to the bid submitted by MCC Land back in July 2013 for another residential site at Tampines Avenue 10 – which currently sits The Santorini condo. It was added that home prices are showing signs of trending upwards as developers are required to bid around 10% to 12% higher than average in order to acquire sites for future development. Given CDL’s bid for the GLS site at Tampines Avenue 10, the expected average selling price would be more than $1,150 psf. This will be significantly higher than the nearby condos The Santorini and The Alp Residences – which are selling at average psf prices between $1,070 to $1,090. CDL is also looking set to launch New Futura at Leonie Hill Road, a 124-unit high-end freehold residential project in District 9. And elsewhere, GuocoLand is also slated to launch Martin Modern in 2H2017 – a 450-unit high-rise condo at Martin Place, at an average psf of around $2,300.